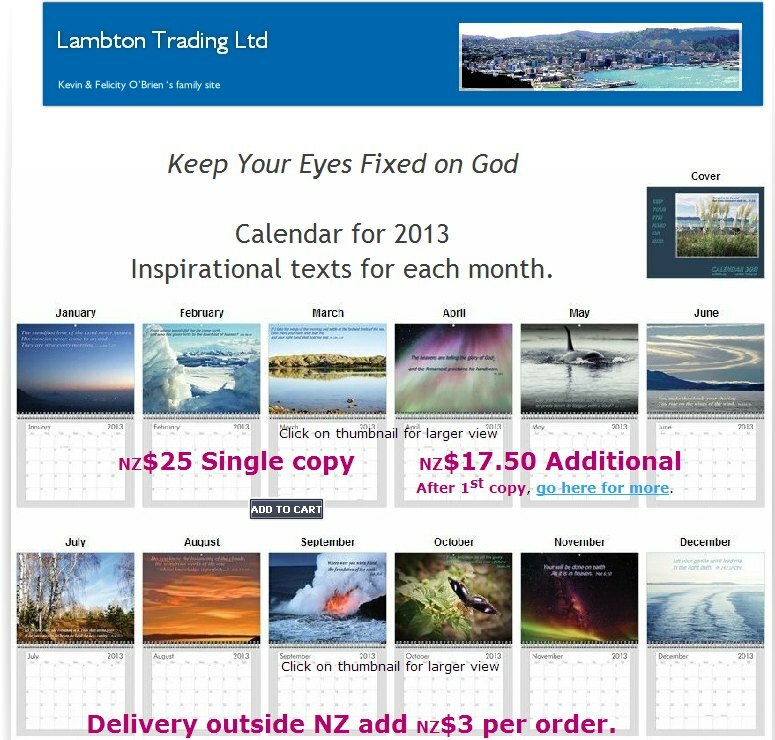 Calendar 2013 Keep your eyes fixed on God. We have finally done it. Our first calendar. Some of the art will look familiar but all has been freshly done for this. You will find it here. This entry was posted in resources and tagged Calendar 2013, choral music, christian carols, christian life, desktop wallpaper, evangelism, free carol book, hope, inspirational texts, Kevin O'Brien, religion, revfelicity, SATB by revfelicity. Bookmark the permalink.